A journey by train from Dhaka to Sylhet will be really awesome. 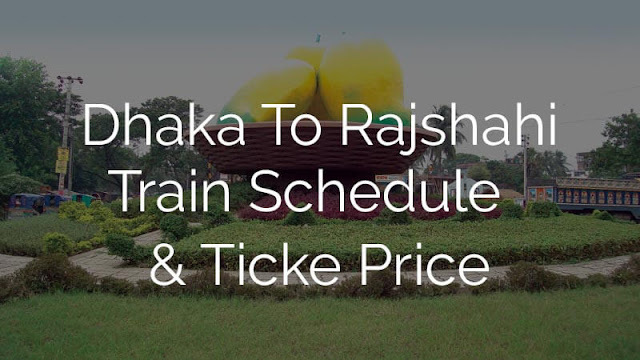 So here is the train schedule from Dhaka to Sylhet and ticket price which will help you a lot I think. 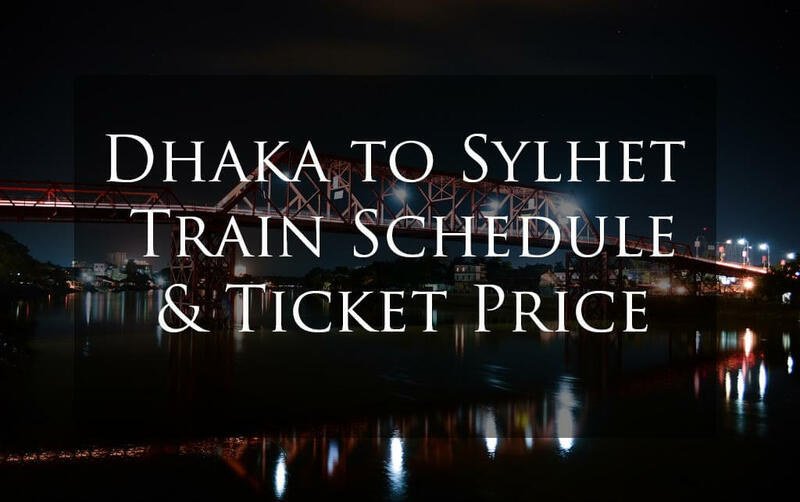 You will find here Sylhet to Dhaka train schedule and ticket price as well. Sylhet is divisional city in Bangladesh situated at the Bank of Surma River. Sylhet is much more famous due to Shah Jalal RH: one of important saint was came to Bangladesh from Turkistan to preach Islam amongst the people of this area. Moreover, Sylhet is really a land of natural beauty. A lot of places are there to enjoy the natural beauty. You can visit Srimongol, Madhob Khundo, Graveyard of Shah Jalal Mazar, Jaflong, Jointapur, Keen Bridge Sylhet and so on. However in this post we are not going to be discus the hot travelling spot in Sylhet but just a introductory speach. So hope you like travelling sylhet. 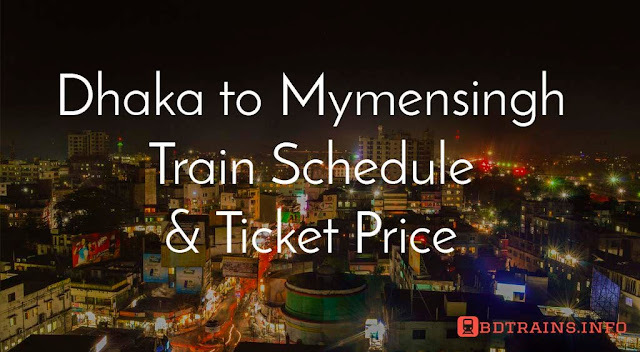 Check out the train schedule from Dhaka to Sylhet. Dhaka to Sylhet / Maizgaon 2nd Class General Ticket Price 80 BDT. 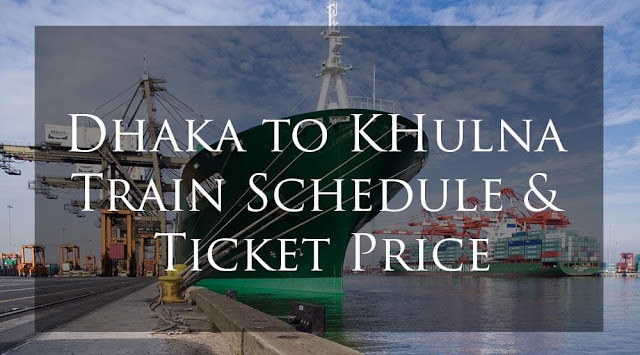 Dhaka to Sylhet / Maizgaon 2nd Class Mail Ticket Price 110 BDT. Dhaka to Sylhet / Maizgaon Comuter Ticket Price 135 BDT. Dhaka to Sylhet / Maizgaon Sulov Ticket Price 160 BDT. Dhaka to Sylhet / Maizgaon Shovon Ticket Price 265 BDT. Dhaka to Sylhet / Maizgaon Shovon Chair Ticket Price 320 BDT. Dhaka to Sylhet / Maizgaon First Class Chair Ticket Price 425 BDT. Dhaka to Sylhet / Maizgaon 1st Birth Ticket Price 640 BDT. Dhaka to Sylhet / Maizgaon Snigdha Ticket Price 610 BDT. Dhaka to Sylhet / Maizgaon AC Seat Ticket Price 736 BDT. Dhaka to Sylhet / Maizgaon AC Birth Ticket Price 1099 BDT. 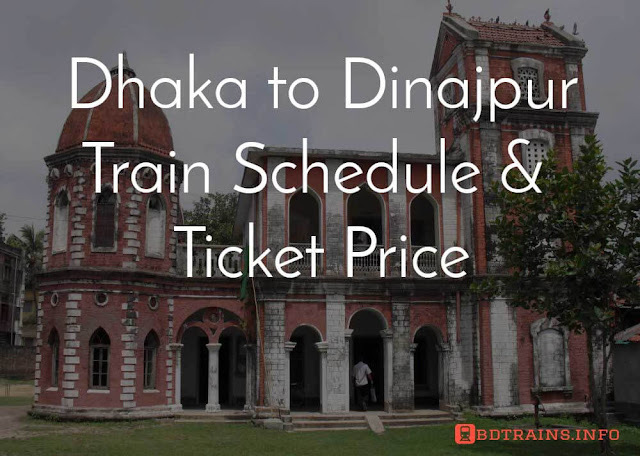 Note that Sylhet to Dhaka train ticket price are same like Dhaka to Sylhet ticket price. So you can see there are four trains available from Dhaka to Sylhet and Sylhet as well. They are - Parabat Express, Joyantika Express, Upaban Express, Surma Express. Parabat Express leaves Dhaka towards Sylhet at 6:40 AM and reach at Sylhet around 1:40 PM. It's offday is Tuesday. From Sylhet Parabat Express starts it's journey towards Dhaka at 3:00 PM and reach at 11:10 PM approximately. This is a nice train. Joyantika Express leaves Dhaka towards Sylhet at 12:00 PM and reach at 20:00 PM. Joyantika Express has no off day, runs seven day's in a week. On the other hand Joyantika Express leaves Sylhet at 8:20 AM towards Dhaka and reach Dhaka at 16:20 PM. Upoban Express has no off day like Joyantika Express and it start it's journey at 11:50 from Dhaka towards Sylhet and reach at Sylhet at 5:30 AM. on the other hand Upoban Express stars journey from Sylhet towards Dhaka at 11:00 PM and reach at 5:25 PM. So hope this post helped you to know in details. Have a nice journey from Dhaka to Sylhet or Sylhet to Dhaka by train. One cabin contain how many people and how many price Dhaka to Sylhet. amra 5 jon jabo AC Birth ki puro 1 tar price 1099 tk r amder ki 5 jon k jete dibe ek sathe ek AC Birth e? vay surma mail ar cost koto ?? upobon er single cabin er price koto? ভাইজান, শনিবার সকালে ট্রেন পাওয়া যাবে?? Need Duble Bad AC Birth on 21-2-19 For Dhaka To Sylhet and Back 22-2-19 same way..please booked if posible..
Today night a lest koi tai train aca........intercity....?